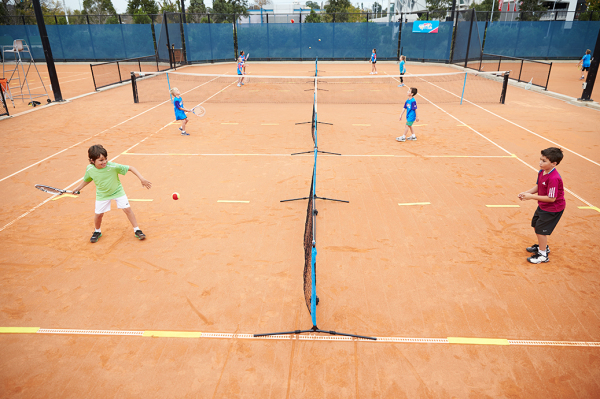 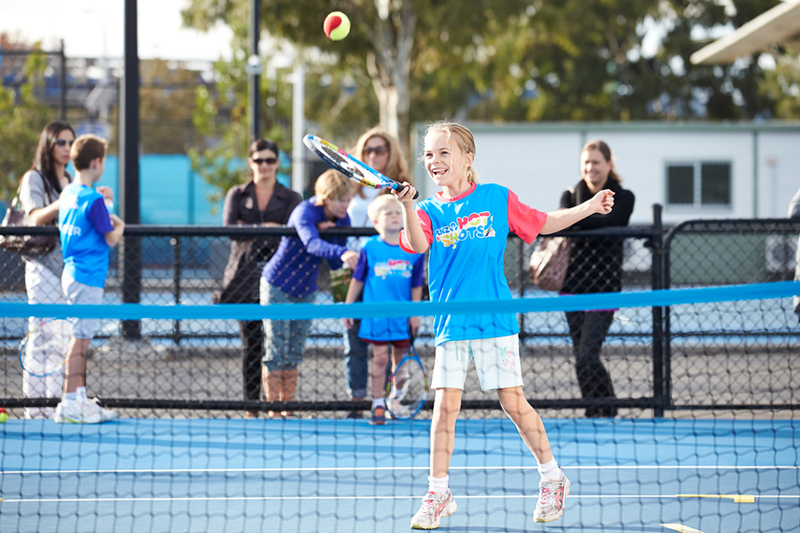 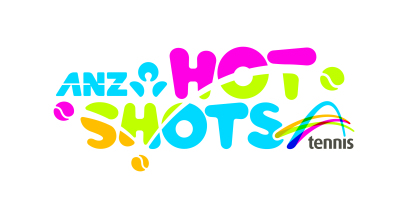 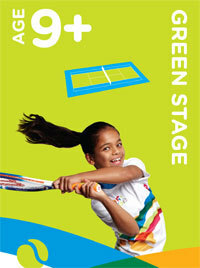 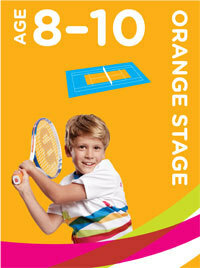 Smaller courts, racquets and balls that bounce lower make Tennis Hot Shots just right for kids. 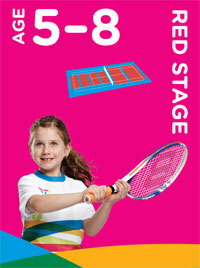 The program is fun, safe and it keeps kids moving. 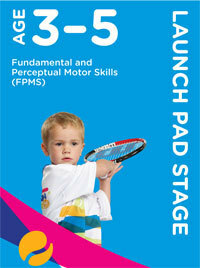 Not only that it teaches kids basic skills that they will use every day. 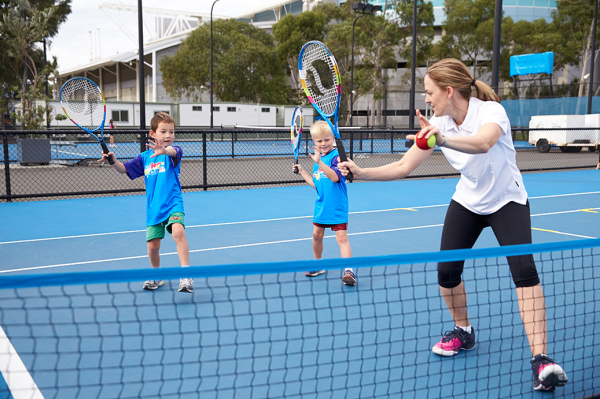 Tennis Hot Shots isn't just about learning how to hit a ball, kids are also taught about balance, coordination, teamwork and tactics.